Founded in 2010 as a Hudson Valley based health and beauty company, our products are thoughtfully created and fueled by the healing power of botanicals and herbs. 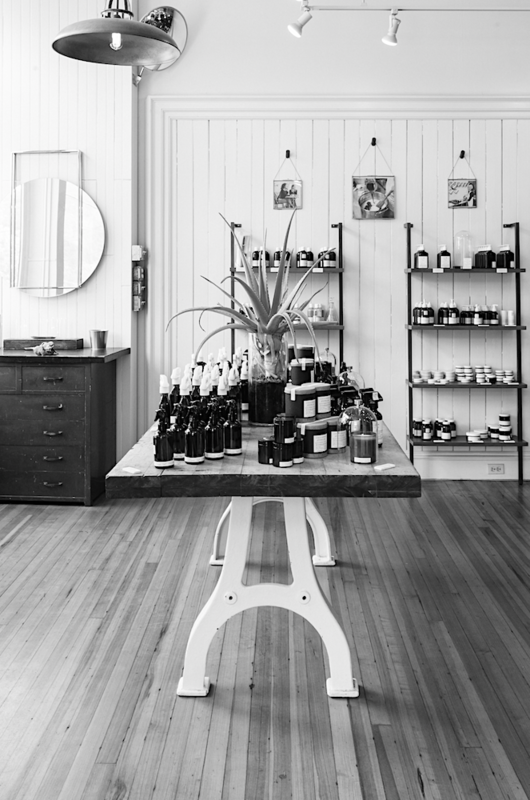 At Cold Spring Apothecary we seek balance between functionality and indulgence throughout our entire product line. 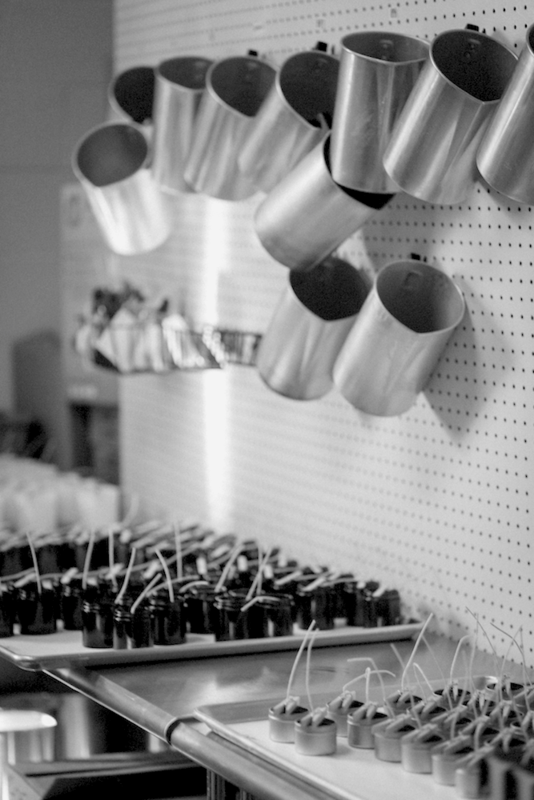 Cold Spring Apothecary products are crafted in small batches in our manufacturing lab. 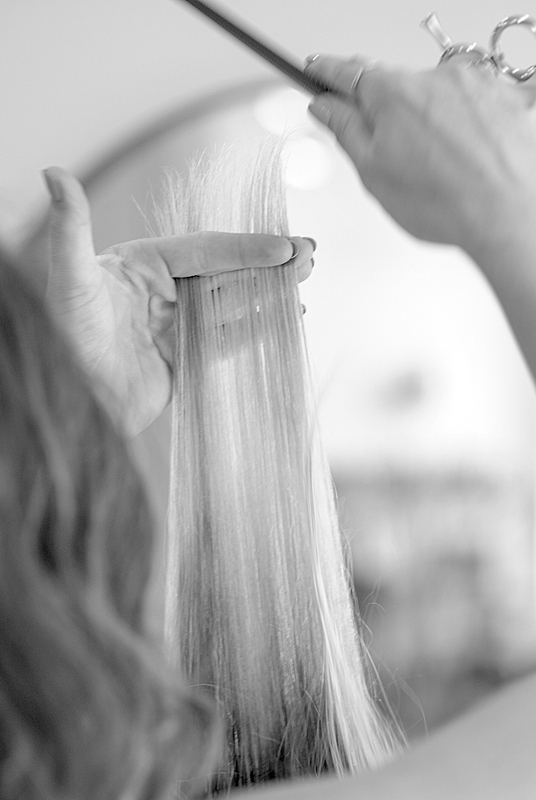 With a strong commitment to luxury, only the highest quality ingredients go into our products. That means no drying sulfates, harsh parabens, or harmful fragrances. We believe that products should be both mindful and luxurious without compromise. Visit our Hudson Valley retail and wellness house for full service salon and spa, herbal dispensary and more. Before the small brick and mortar shop opened its doors in 2011, the idea for Cold Spring Apothecary was formulated in an even smaller apartment in Brooklyn. 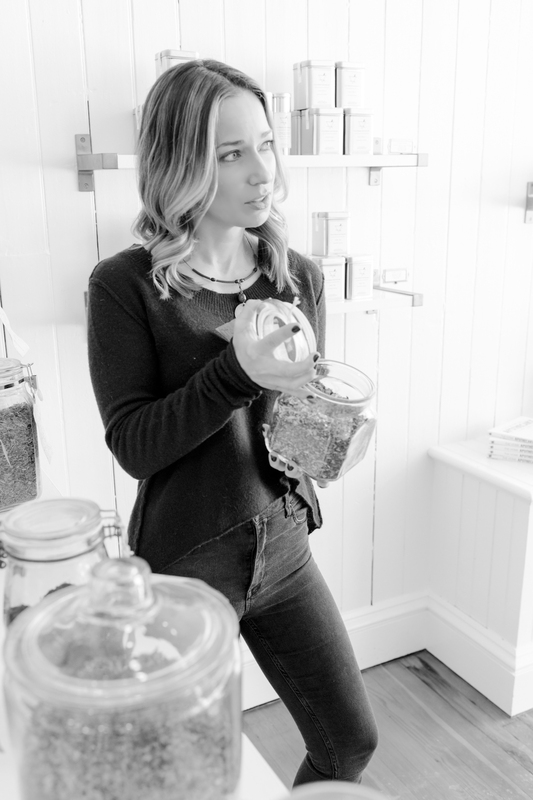 Driven by allergies to numerous chemicals in the cosmetic industry; as well as her passions for biology, chemistry, and naturals; its founder, Stacey Dugliss sought to create a truly healthy line of home and beauty products. Her formulations begin with products for not only herself but for a select group of her skin and hair clients. After much encouragement from those very clients, Stacey quit her job, moved to the beautiful Hudson Valley town of Cold Spring, locked herself in her apartment kitchen and Cold Spring Apothecary was born. The first creations were her shampoos, which have now become best sellers, garnishing a bit of a cult following. To date, the line of products has grown to include skin, hair, body, home goods and more. All Cold Spring Apothecary products are crafted by hand yet have an innate sense of simplicity and luxury that keep our customers wanting more. Stacey is also the author of The Home Apothecary, with a strong commitment to educating the consumer, the book offers ingredient knowledge as well as handcrafted remedies and recipes.
" Luxury is Found in the Purity of Our Ingredients "
Cold Spring Apothecary’s goal is to provide our customers with the safest alternatives to the harmful chemicals used most cosmetics. Our manufacture lab is Located just a short train stop away from our flagship store in Beacon, NY. By manufacturing our products in our own lab we can ensure that only the highest quality ingredients are used. We are continually researching and adding to our ingredient list making sure we are using the best and latest green alternative ingredients available. CSA uses gluconolactone and sodium benzoate, a naturally derived preservative system with proven skincare benefits when used together. Potassium Sorbate is a salt primarily used as a food preservative but more recently by natural cosmetic companies. CSA uses the following surfactant in our shampoos: Decyl glucoside and Sodium lauroyl lactylateare made from a reaction between a natural plant oil and a natural plant sugar that has been used for many years in the food industry and more recently in personal care. Polyglucosides (Sodium Lauryl Glucose Carboxylate and Lauryl Glucoside) are derived from natural, renewable raw materials and are biodegradable. These natural surfactants are made from the reaction between coconut / palm oil and starch / sugar. Decyl Glucoside, Cocamidopropyl Hydroxysultaine, Cocamidopropyl Betaine, Cocamide MIPA, Disodium Laureth Sulfosuccinate, and Disodium Lauryl Sulfosuccinate make up our blend of naturally sourced surfactants which are mild, made from renewable raw materials and are biodegradable. CSA only uses all natural steam distilled essential oils in all our skincare, bodycare and haircare. These oils are not extracted using propylene glycol, ensuring high grade oils that impart healthful benefits and create a wonderful aroma. Parabens are a class of chemicals widely used as preservatives in the cosmetic industry which include methyl, propyl, butyl and ethyl. They are endocrine disruptors that have been linked to cancer as well as an environmental contaminant. Sodium Laureth Sulfate and Sodium Lauryl Sulfate,which are used as surfactants “lather agents” in most shampoos, are known skin and eye irritants as well as an environmental contaminant. Not only are they harmful but extremely drying to the hair and skin and sadly found in most cosmetic products on the market today because they are an inexpensive ingredient and make mass production cheaper. Consumers have become accustomed to “suds” in their cleansers. Phthalates, DBP, DEP, DEHP, and DMP are endocrine disruptors because they mimic the body’s hormones and have, in laboratory animal tests, been shown to cause reproductive and neurological damage. These fragrances are most often used to create fragrances in cosmetic products . Located in the bucolic Hudson Valley village of Cold Spring New York, our retail location boasts our full product line up, a grouping of custom and DIY products as well as a full service salon and spa. Come sample our products, take home your favorites or find the perfect gift all while sipping coffee from our in-house coffee shop and local roaster The Pantry. In 2015 we expanded our retail location to include our wellness house which includes a full service salon, spa, and herbal dispensary. At our wellness house you can get a haircut from our skillfully trained stylist or get a massage after a long hike. Our signature facials will leave your skin glowing and you feeling refreshed.